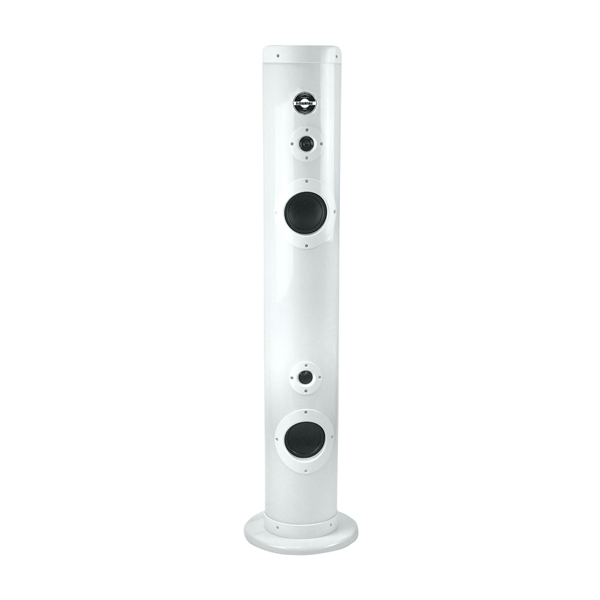 Introducing our brand new sound-2-light LED tower speaker. It has 110 LEDs that produce an bright light show when your playing your music. Play your music though so many different functions including Bluetooth, radio, USB and SD. The Ibiza tube is a meter tall, with 2 speakers and 2 tweets that combined produce over 100W of sound. Four light modes: The first being sound to light when playing music the LEDS with flash in 5 different colours to the beat of the music, changing colours as the sound changes creating a mesmerizing effect. The second is a fade, the colours will fade and bleed into one another to create a smooth lighting effect to the tempo of music your playing. 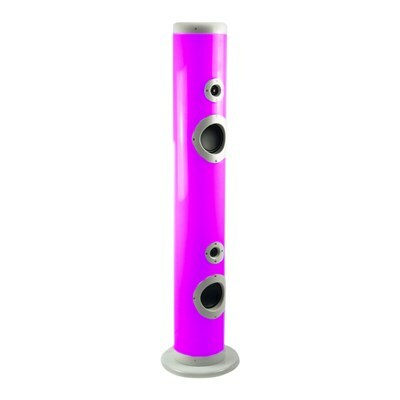 The third is a rainbow dancing effect, this is there the tube will be lit up by 3 different colours at one time changing to the beat of the music. The fourth is mood lighting this allows you to have the lights on and let them play and bleed together even when no music is playing, creating a nice calming mood lighting in you home. 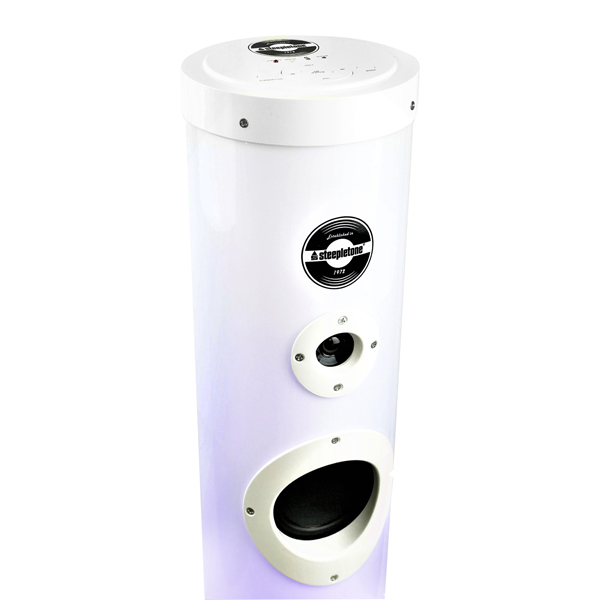 The Ibiza tube comes with a full function remote control-allowing you to change song, function, light mode, volume ,bass and treble etc... all from the comfort of the sofa. 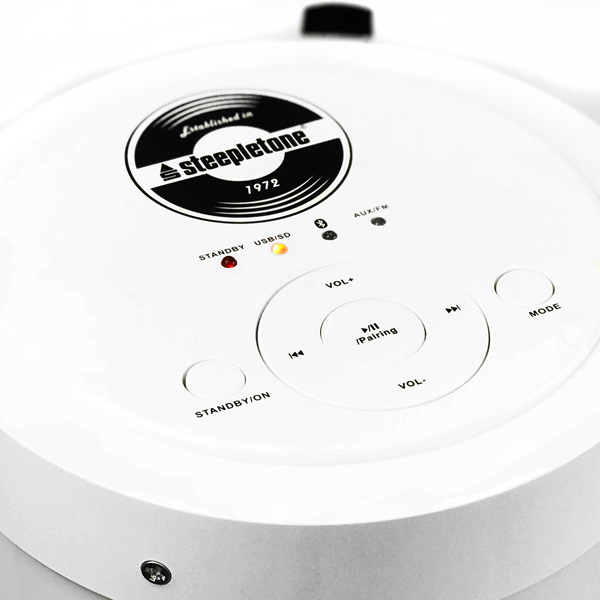 Steepletone was founded in 1972 Still a family owned business. We were one of the last UK manufacturers of Record Players. We source and sell Unique Electronic Gifts. Vinyl turntables are still an important part of our range with some 27 different models. From Retro Radio, phones, Retro items to Table top and Floor Standing Jukeboxes plus much more.